Quick Links: New Homeowner Situation NEED ADVICE Outdoor Watch Anyone use a manual pipe bender? Help Me Choose Sunglasses Amazon Reviews! Dash cams? 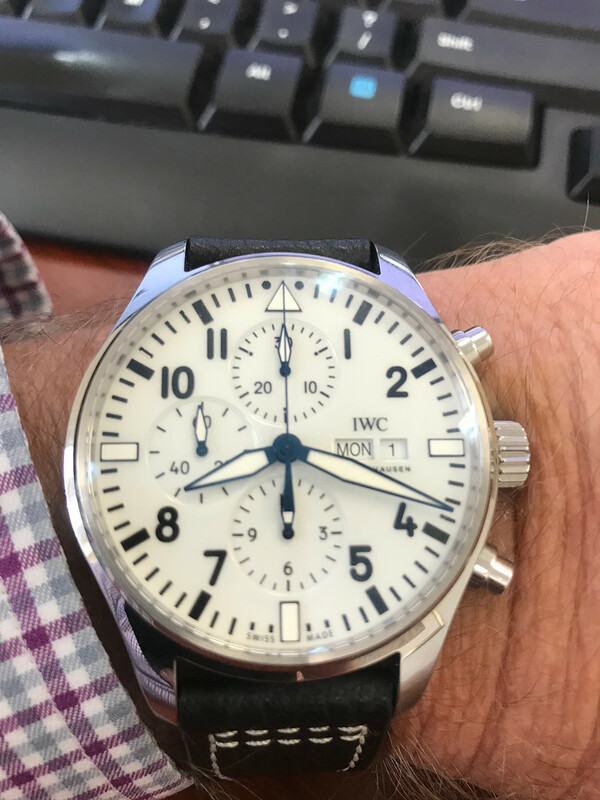 Discussion in 'Off-Topic Discussion' started by irayfz6, Jan 26, 2018.
if you don't mind a basic eta movement, you can pick up a decent looking watch for a couple of bucks. 365 for a basic chronograph automatic tissot. irayfz6 [OP] and Blackout14 like this. hey thats not a bad deal good find! xola3que, Ensemble88, Jibbs and 6 others like this. A Stauer Atomic. 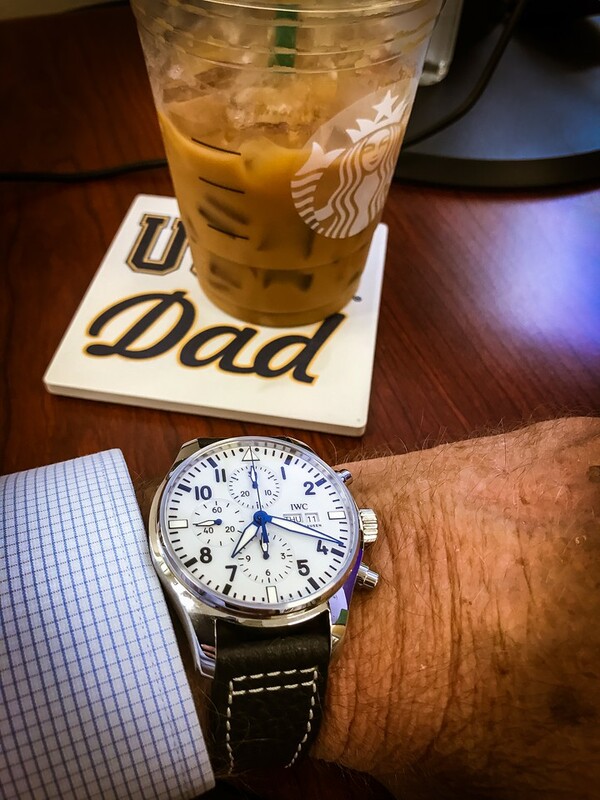 I'd rather have accurate time than expensive arm candy. TacoBella, irayfz6 [OP], RickS and 4 others like this. irayfz6 [OP] and USMC - Retired like this. Nice collection, especially that coke GMT, the Sub and the Tudor are my faves, which did you keep? Gave the Sub to my nephew. Sold the other more valuable watches. Kept the everyday Citizen and Seiko. But I have not worn a single watch since getting the Samsung S3 Frontier for Christmas....Love it..SMart Wifey Buy me a watch I love then sell others. irayfz6 [OP] and nevadabugle like this. I'm really getting the itch to buy a samsung galaxy watch...I like the LTE version and the idea that I could.leave my phone at home or in the truck. nevadabugle and irayfz6 [OP] like this. sandjunkie and irayfz6 [OP] like this. Old reliable lumi gearing up for this weekends wheeling trip. This watch has been banged off pretty much everything you can bang it off of and other than the inner bezel ring falling out, it's been rock solid. dumontrider, Lou Slink, 14Tacos4me and 2 others like this. I've branched out from my mostly Invicta collection. Anyone know how to change the AM/PM on these? My date changes at noon, instead of midnight. I've tried leaving the watch in set mode for over 12 hours, and then adjusting the time, and I've also tried The Google, and still can't figure it out! Roll it forward 12 hours and reset the date maybe? ^^this. first thing i do when i pick up a non running watch is wind it. Then i pull the crown all the way out and start spining till the date changes at 12 then i know this is am. Set the time which is usually around 8am when i am putting it on then i go set the date. I'll give it a shot again. Well, yesterday after noon I rolled forward 12 hours (it thought I was in the AM, so there was no date change), and I checked it this morning to find still no date change. I tried rolling forward another 12 hours this morning, and still no date change. I even tried stopping at 11:59 each time, pushing the crown in, so it could roll over to 12:00, but still moi date change. Currently it's 7 AM on the 13th, but this watch will day the 12th until noon today. I've had this watch for a while now, and it was running when I got it. Aside from letting it roll over to 12 with the crown in, is there any other common trick? It's a Seiko Coutura Perpetual Solar. No matter what I do while adjusting the time, I cannot get the date to change. When I have adjusted the date manually, it still retains the wrong am/pm state, and will eventually change the date at noon. Just doing a bit of camping right now with the Nighthawk as well. dumontrider, Jibbs, RickS and 1 other person like this. Entire Site Forum: Off-Topic Discussion Thread: Watcha wearing?